Build-A-Sandwich and end childhood hunger in America! This virtual version of the beloved school lunch ritual of swapping sandwiches will benefit Share Our Strength®, the leading non-profit organization ending childhood hunger in America. Building and swapping virtual sandwhiches is back! When people visit Hellmann’s® Page on Facebook®, they’ll have the opportunity to create a sandwich on the application and, for every sandwich built, Hellmann’s® will make a donation to Share Our Strength®. 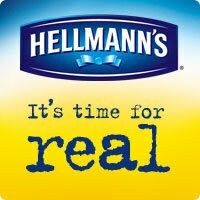 What’s more, when they share a sandwich with a friend, an additional donation will be made as part of Hellmann’s® $75,000 commitment to support Share Our Strength®. Learn About Ragu’s new pasta sauce and get great recipes! Healthy, delicious and now with a naturally thicker taste the whole family will love, Ragú® Old World Style® Traditional Sauce is a perfect component to pulling together quick and tasty meals during this busy time. And Ragú® wants you to be among the first to try out their great new recipe! To be one of the first to taste Ragú® with 2 servings of veggies in every half-cup visit them on www.facebook.com/ragusauce to find great recipes. Win an Electrolux Perfect Steam Washer/Dryer AND Help Beat Ovarian Cancer in the process! As Moms, we pull a lot of things together, from weekday meals to our little ones’ back-to-school wardrobes. However, usually what suffers is our own wardrobe, as we pull wrinkled garments over our heads to make it out the door on time! Luckily, Electrolux and brand ambassador Kelly Ripa are partnering with some fashion-savvy bloggers to host a special fashion show to help raise awareness and funds to support ovarian cancer research. Unfortunately, I am not one of those bloggers (must be I need to work on my fashion sense…maybe spit-up and baby pee on my jeans and t-shirt, or EMS work uniforms aren’t considered “hot” enough by the world’s standards?). Unfortunately, I am also not Kelly Ripa who apparently gets to have all of the awesome Electrolux and Fridgidaire products that hit the market…BUT, both you and I have a chance to WIN our own Perfect Steam washer and dryer!!!! Since September is Ovarian Cancer Awareness Month, this fashion-focused event couldn’t have come at a better time! This fun and innovative fashion show will demonstrate how Perfect Steam™, and a little fashion ingenuity, can take any garments from “Rumpled to Runway”. Please, even if you already have a Perfect Steam duo, visit www.kelly-confidential.com anyway. Not only is the game fun, but for every time it’s played, Electrolux will donate $1 to the Ovarian Cancer Research Fund! Help cancer die!